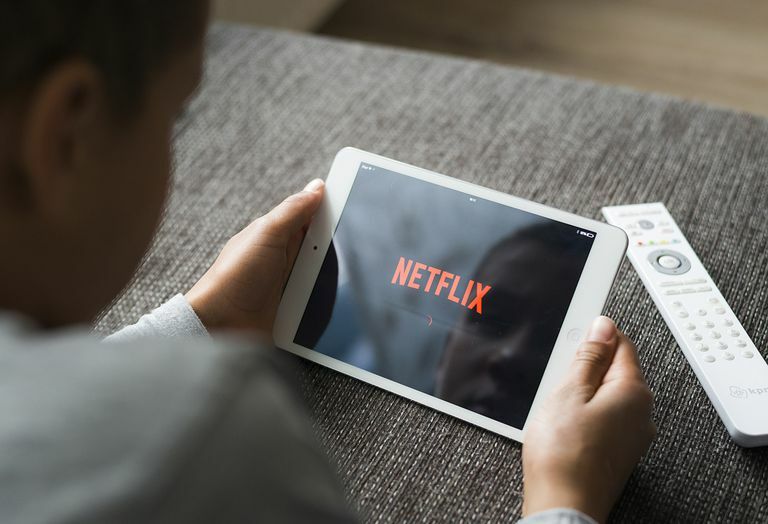 When it comes watching movies online, you have two main choices: Download pirated movies that are low in picture and sound quality, or sign up for one of the many movie streaming services that are now conveniently (and legally) available. If you can't be bothered to scour the web for a specific movie that only results in something blurry and muffled, your best bet is to pay the small fee it takes to use a streaming service. Here are eight that are worth checking out. Unlimited movies and TV shows with no commercials. No commitment. Can cancel online at any time. Content can be downloaded for offline viewing. Basic subscription (of three plans) doesn't include HD. Current episodes of TV shows aren't immediately available. Netflix is by far the No. 1 most-used online streaming service not only for movies but for many popular TV shows as well. With thousands of titles to choose from and new ones added every month, it's hard to say no to this kind of variety, especially with absolutely zero ads or commercials. If you're a big movie buff, in particular, Netflix is definitely the streaming service to try first. Features current and past episodes of TV shows. Contains lots of original content. Streams on many devices including smartphones, tablets, Xbox and Apple TV. Limited and no commercial plans cost more. You can't watch movies and TV offline. Movie selection isn't as good as TV selection. Hulu is one of Netflix's main competitors, offering similarly good variety in popular shows and movies to watch. In comparison to Netflix, some say it has a better selection of content. Unlike Netflix, however, Hulu integrates some advertising into the viewing experience. In addition to Hulu's free and much more limited membership, you can sign up for two different premium memberships — one of which offers limited commercials and another that removes commercials completely. Included with Amazon Prime subscription. Runs on computers, mobile devices, game consoles, and streaming media players. Doesn't include most recent episodes of current TV shows. Some recent movies are available only for rent or buy. You can get almost anything from Amazon, even the latest and greatest movies to watch. Amazon Prime Video is a service included in an Amazon Prime membership. It gives you access to thousands of titles without any added rental or purchase fees, although some movies include purchase options along with the free streaming option. Prime Video is also available as a separate service for people who don't have an Amazon Prime account. Subscription fee: From $8.99 a month or included in Amazon Prime membership. Includes newly released movies and TV shows. Season passes for individual TV shows available. Listings include detailed synopsis, trailers, cast information, and reviews. Pay per title to rent or buy. Compatibility limited to Apple devices and Windows computers. 4K movies only 4K when played on an Apple TV 4K with suitable hardware and internet connection. If you own any Apple devices, you probably already know about iTunes for music and app downloads. It's also one of the most popular ways to enjoy your favorite shows or movies. Rent or buy to view in standard or high definition, and watch the content on your laptop, your phone, or any device that works with iTunes. Offerings include new-release movies and current episodes of TV shows. Filter by genre, top charts, and new releases. Search for family-only fare or for specific networks. Some new content is expensive. You pay per movie or show, so it's not a good financial choice for heavy users. Can't purchase shows from mobile devices, only view shows you bought on the computer. Even Google offers its own selection of movies and episodes. If you're an Android user, Google Play is your version of Apple users' iTunes. And like iTunes, there are options to buy all sorts of popular show episodes, complete seasons, and movies in standard or HD that you can watch on the web or on your device. Browse by movies, TV, studios, or even networks. Vast selection includes current TV seasons. Includes a large section of movies that are free with ads. Playable on a wide variety of devices including PC and Mac, Chromcast, Roku, video game consoles, Apple TV, and more. Frequent users find Vudu expensive when they venture out of the free section. The free movies come with advertisements. Like Amazon, iTunes, and Google Play, Vudu is another streaming service that lets you rent or buy popular television and film content. There aren't any free trials, but the site offers some movies and TV shows free with ads. The purchase and rental prices are all about the same as for other competing services, but picture quality is said to be one of the best features that Vudu has to offer. It also offers as many great features as Hulu Plus or Amazon Prime Video. Movies include new releases, modern, and classic films for rent or purchase. Solid selection of movies that are free with advertisements. Lots of current and vintage TV shows for purchase by individual episode or season. Other services offer higher-quality video. Not many filtering options. Requires browsing in categories. Everyone knows YouTube is one of the premier places to go for watching all sorts of videos. If you're lucky, you could type in a movie title and be able to watch it for free on YouTube, but you may get a pirated version that was uploaded recently; these are often low in quality, YouTube eventually takes them down. YouTube offers a Movies & Shows section where you can browse through high movies and many current television shows. Vimeo is easy to use. Many movie entries include trailers and synopses. Supports the works of lesser-known filmmakers. Don't look for newly released blockbusters here. Next to YouTube, Vimeo is another popular video sharing platform that's best known for supporting independent filmmakers. When you select a film to buy and watch, you're purchasing directly from them. Ninety percent of the revenue after transaction costs goes toward the creators. While you won't find any big-name Hollywood titles here, you'll certainly find many gems from up-and-coming filmmakers who are just trying to share their work with an audience.